When you bring your cat or dog in for neutering or spaying, we make the surgery as safe and comfortable as possible. Veterinarians and animal clinics across Denver have been neutering and spaying pets for a long time. It’s easy to forget this procedure is a major surgery! At our Castle Rock veterinary clinic, we do everything we can to make sure our neuters and spays are safe and gentle. We treat your cat or dog as an individual. We tailor our care and medications to your pet’s unique needs. Make sure you and your pet feel as relaxed as possible. We’ll listen to your questions and share some love with your cherished companion. Provide the best care possible, from tailoring the anesthesia to your pet, to monitoring your pet’s vital respiratory functions. Offer an optional laser treatment to speed the healing process. Minimize your pet’s discomfort with carefully selected medications. Keep our eye on your pet and ensure quiet and rest. We’ll check on your pet multiple times following the procedure, keep your pet in our clinic overnight, and evaluate his or her health the next morning. We welcome pet families from across Castle Rock and Denver. Usually, we’ll ask you to bring your cat or dog in on the morning of the surgery (before your pet has eaten). You can expect to spend about 10 to 15 minutes at our Castle Rock veterinary clinic when you arrive. We’ll ask you questions about your pet’s health and go over some paperwork. With your permission, we’ll run a blood test to check your pet’s organs. We want to make sure your pet can safely handle the medications we plan to use for the procedure. It typically ranges from 45 to 90 minutes. Following the surgery, we’ll check on your pet every 15 minutes or so to ensure your cat or dog is recovering well. We like to keep your pet overnight after major surgery. By the time we check your pet’s health the following morning, your furry friend should be getting back to his or her normal self! Why do you keep my pet overnight? 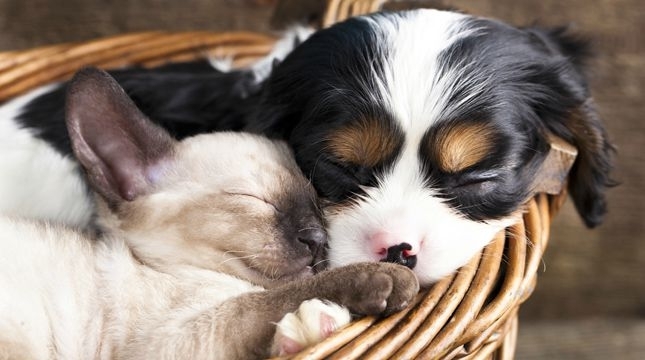 First, your dog or cat can recover peacefully in a quiet environment. Second, we check your pet in the morning to make sure everything is going as planned before your furry friend goes home. If there are any issues, we can address them then, rather than having you come back in for an additional visit. And finally, cats and dogs can make some strange noises when the anesthesia wears off. While these noises may sound alarming, they’re normal. It’s just the anesthesia. Staying overnight ensures a quiet environment for your pet. Plus, it can be less stressful for you. What’s the best way to care for my pet after a spay or neuter? What’s the recovery time? By the day after the surgery, your dog or cat can go back to a normal eating pattern. Keep in mind, some medications may slow down your pet’s gastrointestinal functioning. This means your pet may be less hungry. Or, your pet’s defecation schedule may be slower than usual for a day or two. Usually, our veterinarians recommend that you minimize your pet’s activity for at least 7 days — ideally, 10 to 14 days — to protect the incision line. Keep your pet from running and jumping, if possible. For example, we recommend putting your dog on a leash when he or she needs to go outdoors. It also means no bathing or swimming. Your dog’s or cat’s desire to mate is pheromone driven, rather than being from enjoyment. So, neutering your pet should not affect his happiness. What are the benefits of cat and dog neutering and spaying? 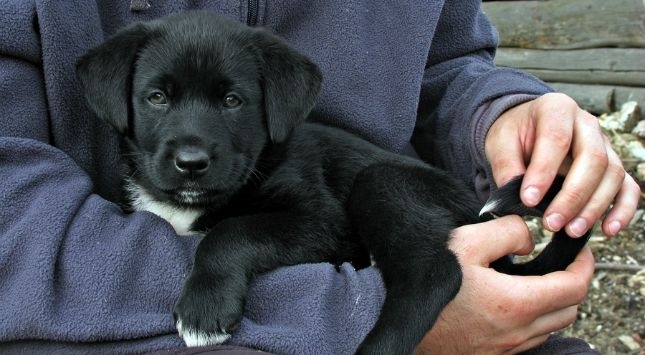 There are so many unwanted dogs and cats, even in Colorado. Spaying or neutering a dog or cat can make such a difference! If you have a male dog, neutering reduces his desire to roam (and potentially get injured) and his desire to mark everything. It eliminates his risk of testicular cancer. It also reduces his chances of prostate cancer. If you have a female dog, spaying helps her avoid serious uterine infections. It also reduces her risk of certain types of cancers, such as breast cancer. If you have a male cat, neutering eliminates his chances of testicular cancer. In addition, it reduces his urge to mark his territory, roam and get into cat fights, where he’s more susceptible to the feline leukemia virus (FELV) and the feline immunodeficiency virus (FIV). If you have a female cat, spaying helps her avoid uterine infections and certain types of cancers. It also helps reduce certain behaviors, such as the yelling and crying that can come with a kitty in heat. What’s the ideal age for spaying and neutering pets? There is some evidence that suggests if you spay or neuter a medium-breed or large-breed dog too early, your dog may be more prone to hip issues. Keep in mind, these types of issues typically can be surgically corrected, whereas cancers can be fatal. Our veterinarians are happy to discuss your options with you. Would you like to schedule pet neutering or spaying in Castle Rock?